Four of the German States issued their first stamps in 1850 and two in 1851, following Bavaria's 1849 lead. 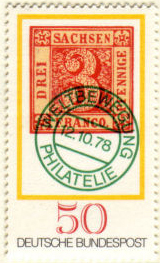 Although most German states only issued definitives, Baden issued a post due and Württemberg a commemorative overprint and an official. Saxony’s first design is shown on a 1978 commemorative as the stamp sells for £5,000, mint and used. 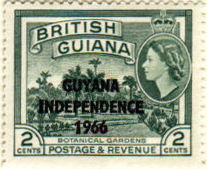 Between Saxony and Prussia, on 1st July 1850, came British Guiana's first issue, the 'cottonreel' type-set design. 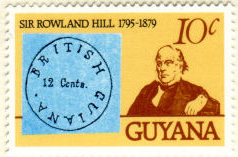 Famed for the prices of some of its early stamps, the first issue sells for £70,000 and is illustrated by a 1979 commemorative. 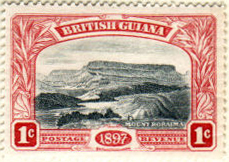 British Guiana demonstrates a popular debate between FI collectors over what constitutes a first issue. My simple preference is to spread the net as widely as possible, including changes of name. 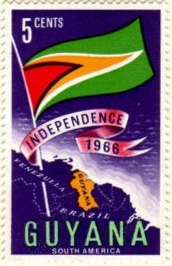 British Guiana became Guyana upon gaining independence in 1966, celebrated first as an overprint and then their first real stamp. The Scott catalogue helpfully restarts Guyana as #1. There are some early officials: expensive, but on the wants list.